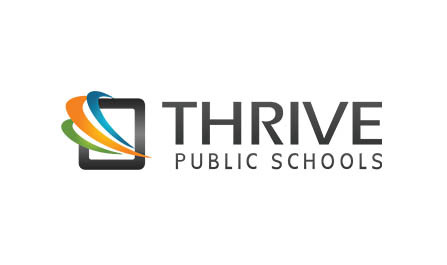 The Operator: Thrive Public Schools is a new CMO in California, establishing multiple K-8 schools that will create a blueprint for change in public education. The population of students Thrive serves has increasingly become disengaged from a model of schooling that has failed to keep pace with the real world in which these students live. Many in education reform talk about the need for students in the 21st century to be adaptable, hard-working, and reflective, and to think critically and creatively in order to prepare for the "real world." Yet instructional delivery does not reflect these same values. Thrive aims to change that. Its new definition of blended learning integrates technology through Project Based Learning, targeted instruction, homeschooling, and tinkering to meet individual student needs, paving the road for tomorrow today. Thrive ensures academic growth and deeper learning for all students—including those most “at-risk”—through a balance of instructional methodologies. The blended, mastery-based approach ensures that students progress at their own pace, receiving targeted support and instruction as needed to ensure they master content before moving on, with varied opportunities to develop and demonstrate depth and complexity as they apply learning in different contexts. Hands-on, minds-on project-based learning develops students’ critical thinking, problem-solving, motivation, communication, and cooperation. Targeted learning: through interactive tech-based learning tools, teachers use instant data to personalize instruction while fostering students’ sense of ownership over their own learning. Students explore all areas of their talents and interests to develop creative and inquisitive thinking. Thrive encourages family-facilitated learning through rich dialogue and fun, engaging, tech-rich learning activities at home, rather than homework; comprehensive parent training; parent access to daily feedback from online instruction; and family-based curriculum. Faculty team-teach in mixed age clusters that stay together for two years. The school model mirrors the adaptable, reflective, critical thought, and creativity expected of students through exceptional human capital and efficient use of technology. Teachers have almost 300 hours annually to engage in collaborative planning, data review, and professional development to continuously improve their teaching. Building on the experiences of Thrive’s founders in other high-performing charter organizations, Thrive is designed to be fluid, efficient, and rapidly scalable.